Vacuum pumps are often needed to lower the pressure inside cooler chambers. A cooling chamber is designed to help lower the surface temperature of the product (e.g. fruits and leafy vegetables) by lowering the pressure water evaporates. 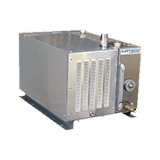 At Airtech Vacuum Incorporated, we carry a comprehensive range of vacuum systems for fruit processing cooling chambers. A wide range of fruits such as tomatoes, pomegranates, coconuts, apples, berries, dates, and kiwi fruits are harvested from the field and stored in controlled atmosphere fruit storage warehouses. During this process, fruit processing cooling chambers may be used to maintain the overall freshness and cleanliness of the raw fruits. The technological cycle has to be employed in order to preserve the fruits’ organoleptic properties, as well as their aromas and color. Oxidation is one of the common causes of browning, and may also lead to proteins and vitamins degradation. All in all, fruit processing cooling chambers will need to be installed to optimize the process of conservation of fresh fruits. Why Choose Airtech Vacuum Incorporated For Fruit Processing Cooling Chambers? At Airtech Vacuum Incorporated, you can find a stellar selection of liquid vacuum pumps that can be easily installed into fruit processing cooling chambers. You will also find that our products suit most of the specialized machines used for fruit processing, which helps business owners achieve maximum yield and top product quality for each specific type of fruit. Whether you are managing a single- or multi-fruit processing plant, we’ve got your back. 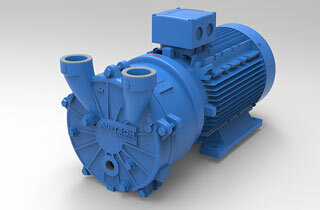 Our industrial vacuum pumps offer exceptional flexibility and utilization. Our company was founded in 1982 and we are ISO9001-2008, UL-, CE-, RoHS-, and CSA-certified. Since our inception, Airtech is not only recognized as a reputable distributor of vacuum and pressure products and systems. Our team is also recognized for their skills in providing top-notch custom design and engineering solutions for vacuum technologies, for fruit processing cooling chambers. Our team possesses the expert know-how to develop solutions that are tailored to our clients’ unique needs. If you are only looking to get spare parts for your equipment, you are most welcomed to take advantage of our extensive line of ready to ship products. To ensure you have an easier time locating and purchasing the parts you need, our engineering staff is always on the ball to provide much needed assistance. Have you been tasked to procure vacuum pumps for your company’s fruit processing cooling chambers? Start browsing through our inventory today and shop with confidence!